With one of my ADS-B setups that I have limited to as close to a 50NM mile range in order to avoid picking up "most" of the traffic for JFK, EWR and LGA, this morning I noticed some strange activity in the last 24 hour period. 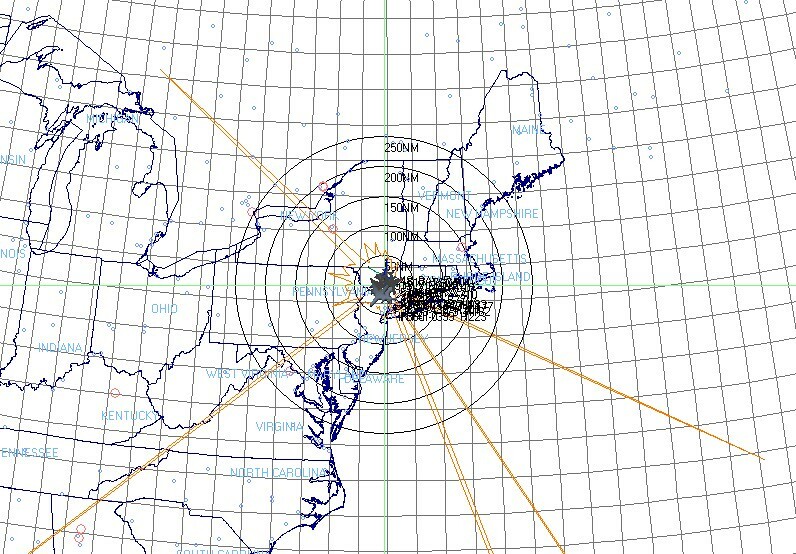 A few spikes close to and beyond the 450NM maximum range were recorded. My logging program however did not have the ICAO registrations since I have it set up to drop after 10 hours or so. 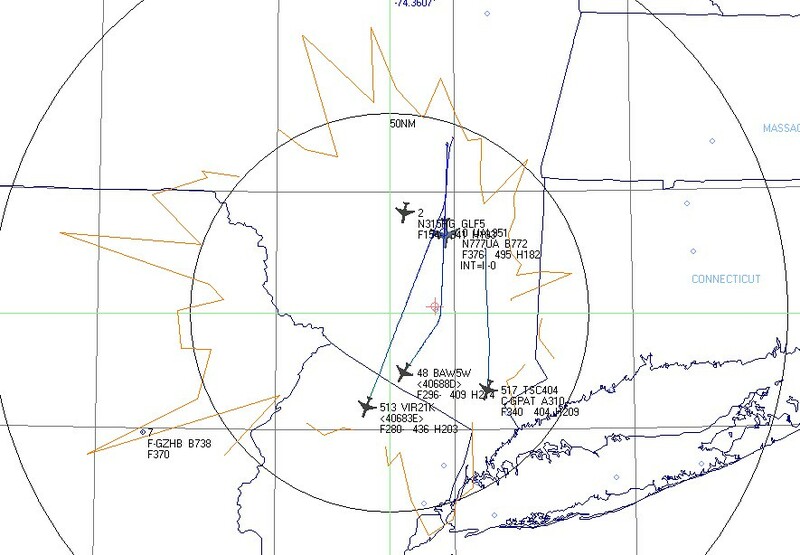 But, it could not have plotted this unless the ADS-B frames had Lat/Long as part of them. Have not seen this ever (in the last 6 months of active monitoring). 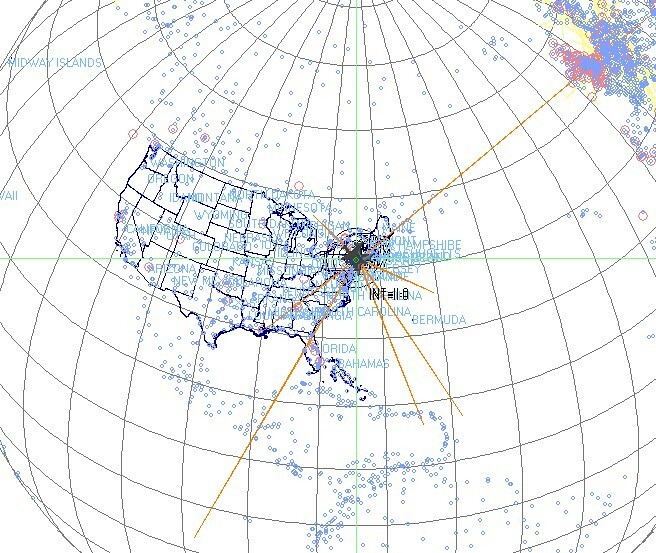 Image: Shows normal range configured for 50NM coverage based on antenna pattern and gain. Image: Zoomed out to show abnormal spikes that are explainable based on 450NM or so earth curvature limits for LOS. Image: Maximum zoom. No way should any plots as far as Europe or Louisiana show up from New York. Edit: I forgot to mention. They do transmit ADS-B.